A vast expanse of blackbrush, sage, and sporadic juniper bushes sprawled outward for miles. Isolated mountains rose from the desert floor like battleships at sea. The taller mountains were draped in a thin coat of spring snow. The road ahead was arrow straight, and disappeared into the distance of Utah’s West Desert. 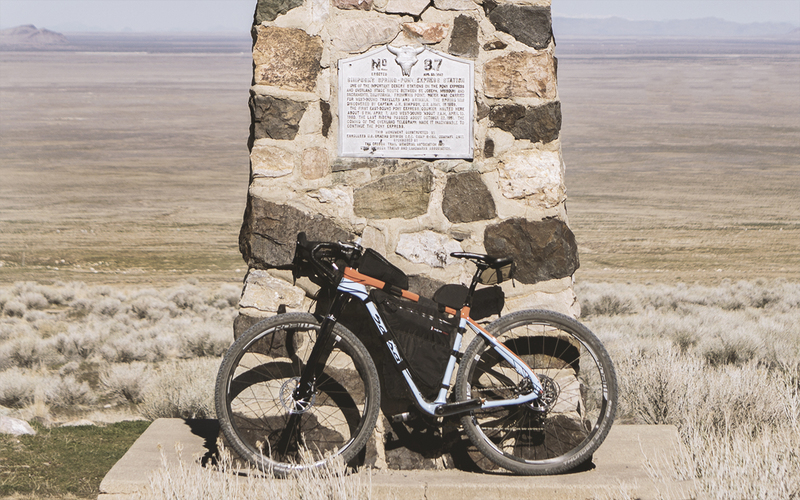 Nearly 160 years ago this road was a part of the short-lived, but iconic Pony Express trail. The famous mail route spanned 1900 miles across the west, from St Louis to Sacramento. Riders rode as many as 100 miles in a single shift, switching horses at every station along the way. A letter could reach Sacramento in 10 days. Today, the trail is wide and smooth. But the country is no less empty and foreboding. Water is scarce. The sun, abundant. And the lack of obvious landmarks can make navigation tricky. I couldn’t think of a better place to let my new pony run. The Tour Divide has long nagged at me. And I’ve long ignored the nagging. It’s an easy race to avoid. It’s a difficult race to start, let alone finish. I was content to sit by and watch others spend three weeks being miserable. But the needling continued. Finally, I had to address the promptings and make a decision. Either race, or don’t. But stop mulling it over, stop wondering about “someday” and “maybe so”. Go all in, or altogether out. 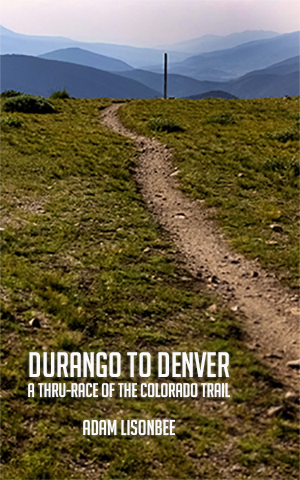 There was no way I was going to race the Tour Divide. 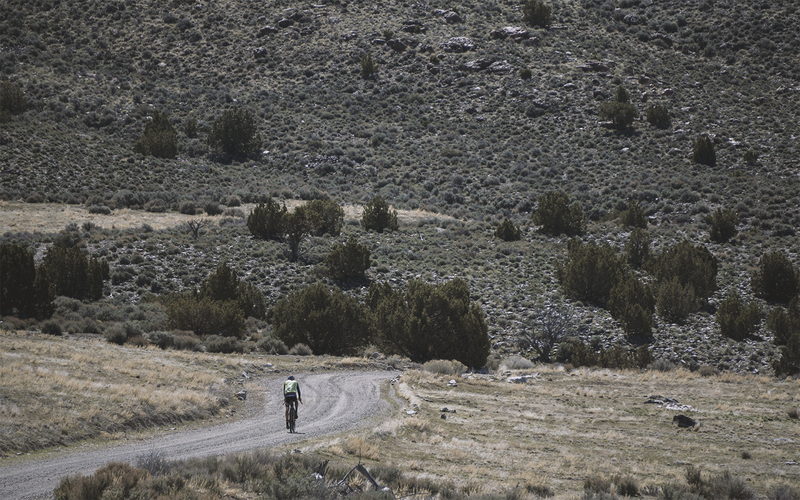 The empty West Desert and the gravel roads that criss-cross it seem custom-made for the Salsa Cutthroat. The bike, billed as the first Tour Divide specific rig ever built, is a dirt-roadie’s dream bike. If a cyclocross bike is 3 parts road bike and 1 part mountain bike, then the Cutthroat is 3 parts mountain bike, and 1 part ‘cross bike. 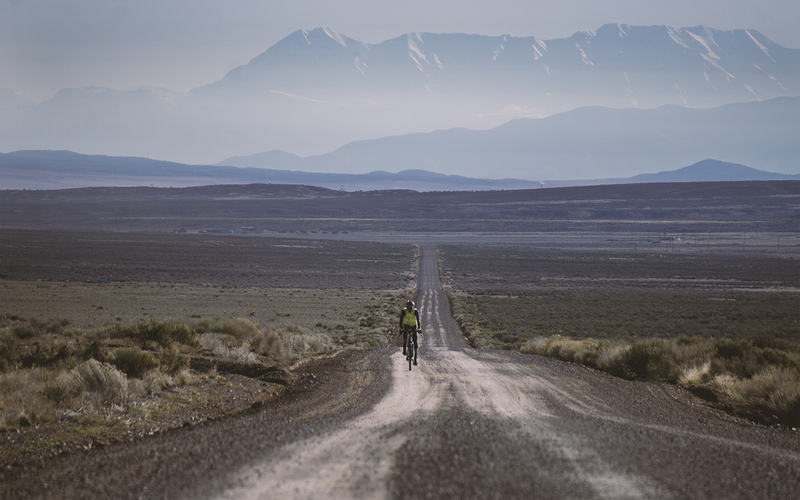 It’s a recipe for gravel greatness. At least, that’s what Salsa says. I wanted to find out for myself. After a few small rides on the Cutthroat, a proper tour was in order. As crowded as the Wasatch Front is, one only need to travel west for a few miles to see how empty it once was. Beyond the neighborhoods, shopping centers, and the road construction, is an open, wide land. Big skies. Straight roads. Backwater ranches, historic markers, and forgotten canyons. Mostly home to cattle, antelope, and the military, the West Desert is surprisingly mountainous, varied, and remote. Sprinkled throughout the region are fresh-water springs, treed hillsides, and geographic oddities. It’s can be an eerie place, almost oppressive in its empty largess. “I’ve been thinking about the Tour Divide again.” I said to Ty last year. Ty, like myself, had long considered a Tour Divide run. But he was always more serious about it than I was. He really wanted to ride the race. I mostly just liked pretending I’d do it someday. But I had also closed that door, and told Ty as much. “When is that?” Ty asked. The miles added up. The bike performed as advertised. We pedaled through the big wide spaces watching antelope run and rednecks stare. The gravel bolted away in every direction, seemingly endless. A big, fat bikepacking route started swirling around in my head, like someone stirring a gallon of fruit punch. Every intersection presented more possibilities, more gravel, more terra unknown. But we didn’t have our overnight gear, nor the luxury of time. We had a deadline. And 50 more miles to ride. So we rode through juniper and cedar scrub. Past rotting cattle ramps and empty water-troughs. Skittish cows startled as we rode by. Dust swirled into the arid, breezy air. 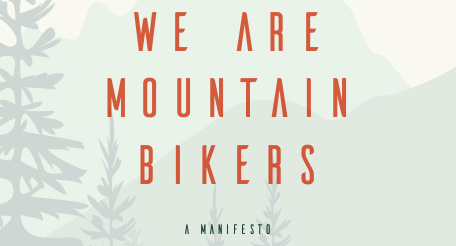 We followed the lonely road over small saddles in the rolling terrain, and around small, but jagged mountain ranges. Fatigue nipped at the edges, clouding my brain and souring my mood. “No. Not today.” I said to myself. “I win today.” I held the bonk and the bad mood at bay with a candy bar. I reminded myself that this is what I had signed up for. That this was why I had hounded my local bike shop owner to get me a Cutthroat as soon as they were available. Miles yet to ride? Of course there are. There are always miles yet to ride. I clicked into a taller gear, slid forward on my saddle, and tried to chase down Ty, a bright green spec in the expanse of sage and dust. I knew we were almost done when trucks and jeeps passed by sooner than the dust from another could settle. I was tired. At nearly 120 miles, I was finishing the longest ride in recent memory. But I felt good. I felt strong. And though a small cloud of doubt lingered, I knew that I was making progress. I knew that the Tour Divide was doable. I was just making conversation when I told Ty that the Tour Divide would be a fun way to turn 40. He saw the opening. I let that sink in for a minute. All in, or altogether out. Once again, I had a choice to make. And once again, the decision was easy. Looks like a great ride. I will have to check it out soon. Thanks for the GPS data.